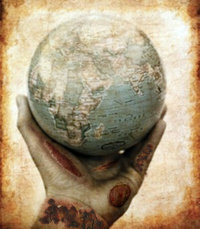 Dream Reapers Haunted House is hosting World Zombie Day October 10, 2010 at 1945 Cornell in Melrose Park. We are setting the stakes to pull off the largest zombie gathering and setting a new record. Makeup Artists will be on hand to do a quick zombie makeover for $10. There will be a last hand or stump on the the Hearse contest to win a special Dream Reapers Prize pack of 2 VIP tickets, a $50 gift certificate, and Dream Reapers T-shirts showing you survived the 12 hour contest. Everyone dressed in as a zombie will be able to purchase discounted Dream Reapers tickets at $10. This is a family friendly event because Monday is Columbus Day so bring your little monsters with you. We hope to see you there in your zombie wear!